The LOGA Industry Report is mailed directly to every member of LOGA including more than 1,700 companies doing business in the oil and gas industry of Louisiana. 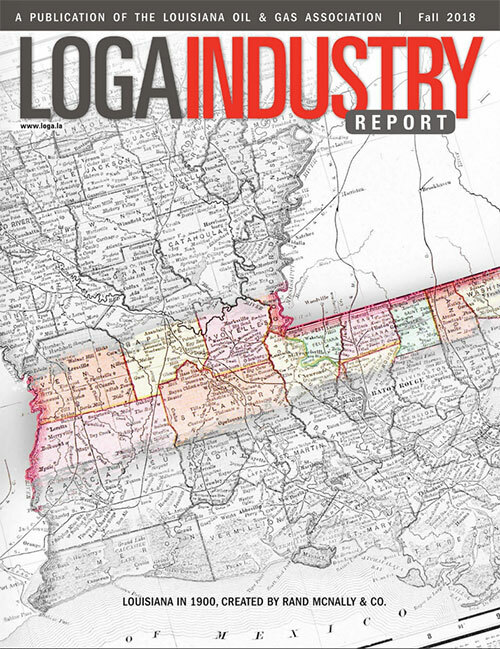 The LOGA Industry report now includes a digital edition available online to the public, which is released after members have received their printed issue. Advertising your services in the LOGA Industry Report is a fantastic way to reach your audience. We offer several different opportunities, both print and online, to get your message directly to the folks that matter. LOGA is seeking article/editorial submissions from our members to be reviewed and published in the LOGA Industry Report. Original letters (300 words or less) and guest columns (500 words) are welcomed. With each submission, please include your address and daytime phone number where you can be contacted. We edit for space, clarity & fair play. Publication of letters, columns and other material is not an endorsement of the opinions of the writers, nor is publication of letters a validation of facts or statements contained in the letters. Private solicitations, poetry, personal attacks, unfair criticism of private individuals, businesses or organizations or inappropriate language will not be considered. Letters to the editor, opinion and editorial columns, and articles submitted may be published or distributed in print, electronic or other forms. We look forward to reading the opinions of our members.